1. What exactly is hypertext [you might ask]? There are a number of possible answers to this question, but let’s make things easy for ourselves with a fairly straightforward explanation. We’ll deal with the more complex aspects of this subject later in the chapter. Hypertext is a means of organizing information in a number of interconnected parts. These parts don’t necessarily form a single sequence, and they can be read in various orders. The work as a whole might have some unity, but its structure is that of a network. If that sounds confusingly abstract, let’s consider a practical example. 2. Imagine a typical academic textbook. It will have a contents page, an introduction, footnotes on each page and maybe notes at the end of each chapter. It may be composed of half a dozen separate chapters (which could even be written by different people). It might also have pictures or diagrams with captions. In addition, it is likely to have at least one index, a bibliography, and a list of suggestions for further reading. 3. When we use such a book, we are unlikely to read it continuously. We consult a chapter, then at a certain point in the text the author might quote from someone else’s work. The source of this information will be recorded as a chapter endnote, which we might wish to consult. So, breaking off our reading, we look at the endnote, where the author gives us the source – and maybe adds some words of comment. We might even find ourselves referred to the work of yet another author. To follow this link we could then turn to the bibliography and perhaps make a note of the work which was being cited. 4. This is a simplified form of hypertext. We are following links placed in the text which lead us from one point to another, either within the text or beyond. We do not necessarily read the book continuously, from cover to cover. You can probably imagine other examples. Older editions of the Bible for instance were produced with a ‘critical apparatus’ in their margins – the notes and observations of earlier scholars passing comment on alternative interpretations or translations of a passage. Even a government report might have references within it to maps, statistical tables, research findings, earlier reports, scientific evidence, and a bibliography of data. We move from one section of the report to another, enlarging our understanding or following a particular trail of enquiry which reflects our interest in the contents of the text. 5. You can probably see from these simplified examples that the essence of hypertext lies in the assembly of information in structures which are non-linear. There will also be some form of links between its elements which allow any number of paths to be traced. You might also have noticed that their hypertextuality ‘ends’ at that point within a text where it refers to something beyond itself. There is an important distinction to be made here between what Roy Rada calls ‘small-volume’ and ‘large-volume’ hypertext. 6. Small-volume hypertext is a single document with explicit links between its parts. This could be a book or a computer program whose sections were linked. The important issue is not the size of the individual document, but the fact that it is self-contained. It might be a huge encyclopaedia, with cross-references embedded in all its entries. It could be a computer program of the kind we find under Windows HELP or in the tutorial pages of a word-processor, with an alphabetical index, highlighted words with pop-up definitions, and cross-links between entries. 7. Large-volume hypertext on the other hand makes links with information outside itself. The catalogue index to a library for instance lists bibliographic information about all its holdings. When we retrieve a book from the shelves it is likely to contain references to other books, listed in its bibliography. These could be in another part of the library, but many of them will be in different libraries altogether, possibly scattered throughout the world. Immersing ourselves in such a system usually requires that we develop searching skills to track down the information. 8. When we read the reference in a footnote for example, we often wish the other text was to hand for consultation. And we know that this secondary text might well point us towards a third, dealing with the same subject. But the works themselves are not immediately available, and to retrieve them might take days, even weeks. Just try to imagine for a moment a system in which all these secondary materials could be summoned instantly, and any further texts to which they referred were immediately accessible too. Now that’s real hypertext! If the user wishes to consult a certain book, he taps its code on the keyboard, and the title page of the book promptly appears before him, projected onto one of his viewing positions. Frequently-used codes are mnemonic, so that he seldom consults his code book; but when he does, a single tap of a key projects it for his use … Any given book of his library can thus be called up and consulted with far greater facility than if it were taken from a shelf. 10. The importance of Bush’s vision lay not in this slightly Heath-Robinson machine itself, but in the idea that the information it contained would be indexed and linked. These links would establish ‘trails’ which created entirely new works out of existing materials. “There [will be] a new profession of trail blazers, those who find delight in the task of establishing useful trails through the enormous mass of the common record.” This was a vision ahead of its time – but only by twenty-five years. 11. These ideas lay dormant until the 1960s – though we may note that the computer and the communications technology which would eventually make them a reality was being developed during this time. They were taken up (once again in theory) by another visionary, Ted Nelson, who argued that such access to information via computers and the Internet would have revolutionary effects. First, it would democratise information technology, because this combination of free access and linkage between texts meant that anybody could assemble and promulgate whatever ideas they wished. And anybody else, without restriction, could have access to them. 12. Nelson’s second important observation was that creating, distributing, and consuming information in this way would raise questions of intellectual property rights. The moment information is made available on the Internet, it is almost impossible to monitor or control the way other people use it. Nelson devised a project, perhaps unhappily named “Xanadu”, which sought to establish a royalty payments system for authors based on the use of their work. His enthusiasm and his ideas have never been translated into concrete practice, but he continues to proselytize [from a base in Japan] and his theories have undoubtedly been influential. 13. A number of small-volume hypertext programs were developed in the late 1980s, many of which are still in use (Guide, Hypercard, and ToolBook for instance). 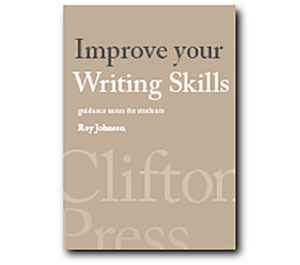 These offer self-contained programs for creating links between the contents which an author provides. Other writers continued to speculate about large-volume hypertext, and meanwhile the advent of sound and video in digital form gave rise to hypermedia. This term is used to describe hypertext programs which link audio files, still and moving pictures, and text. These have been used to design self-instruction teaching programs for instance in which the student might explore menus of text, video clips, and sound archives. They are also used for the ‘point and select’ tourist guides one sees in railway and airport terminals. But all of this tinkering was suddenly swept aside with the arrival of hypertext for real in the form of the World Wide Web. 1. The World Wide Web [called WWWeb or the Web for short] is currently the most rapidly expanding part of the Internet. It was developed in 1989 by Tim Berners Lee at the European Particle Physics Laboratory in Geneva. He devised it as a means by which scientists could transmit graphic files and create links between each other’s research papers. Although it has this high-tech origin, it is a system which has opened up access to the Internet for ordinary users. It has also brought hypertext into daily use – even though most people probably aren’t even aware that they’re using it. The popularity and success of the Web is the result of two features which have made access to information by computer much easier than it ever was before. 2. The first is a graphical user interface [GUI – pronounced “gooey” if you ever need to say it]. This makes Internet navigation visible on screen by pointing and clicking on icons and buttons with a mouse. The second is the revolutionary design feature of hypertext links which can connect computer sites and even individual documents on them into something like a globally-sized, cross-referenced library. 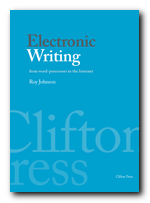 This has profound repercussions for all aspects of electronic writing – from publishing, authorship and control of data, to intellectual property rights. 3. In the earlier days of the Internet, users were forced to learn very complex commands which were entered at the keyboard and appeared on screen as a code or pathway. Connexions with other computers were made through this ‘command line’ interface – and life certainly wasn’t easy. Once connected with another computer, you had to work out on your own screen how to burrow down through several layers of information before arriving at your goal. At each layer, the ones preceding and following it were hidden from view. Navigation was rather like trying to read a map in the dark. It was this period which gave birth to the expression ‘Lost in Hyperspace’. Many people were struggling with this system as recently as 1993/4. 4. The research team who developed the Web produced a device which spares us all this cumbersome navigation-by-arcane-code. It is called a browser and works on a much simpler point-and-click GUI principle. You use a mouse and read information on an information screen which has pictures, signs and labels representing the places you wish to visit. Now that the connexion is made graphically, you can actually see a page of announcements which list the contents of your remote source’s database. Moreover, you can retrieve information from it simply by clicking on hotspots with a mouse. 5. A highlighted area on screen [a hot spot] indicates that further information is available by clicking on the button. ‘Underneath’ the hot spot (hidden from view) is the address where this information is located. The same is usually true of text which appears in a different colour or is underlined. The information could be located in another part of the same document you are reading (which is stored on the computer with which you are connected). But it could also be a link with a completely different computer somewhere else in the world. These links constitute the hypertext feature which really does make this a revolutionary means of dealing with information.